My sewing room is currently being used as a guest room, which means very little sewing has happened in the past week. 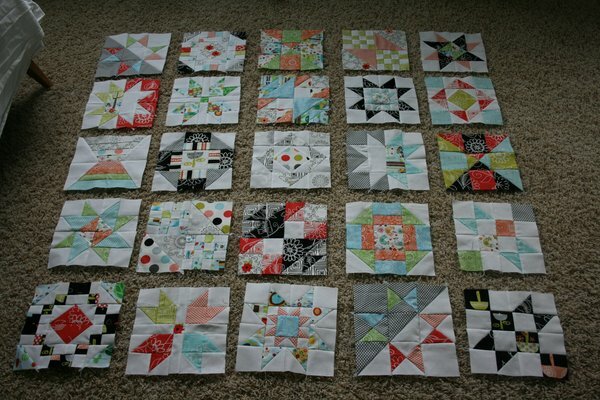 I did, however, put together a few more scrappy trip along blocks after neglecting them last week. 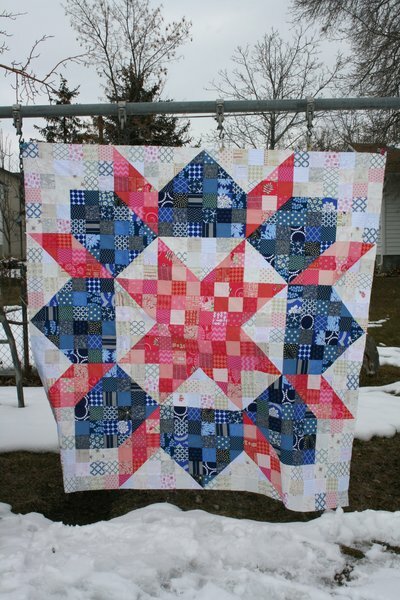 The Scrappy Swoon-Along is headed into the home stretch and I’ve got to get it quilted right away. I’m so happy the top is all put together because now I like it again. I finally finished all my blocks for the Canton Village Block of the Month. I’m happy with the blocks but am at a total loss as to sashing. What color would you use to sash these? Would you go dark? Light? Bright? Neutral? I keep looking at them and wondering what direction to go. It’s nice to be on the close to finished end of a few projects. I’d love to wrap them up so I can start on something new. Your scrappy swoon is fabulous – I am totally inspired by it. As for sashing, have you tried the red/pink colour that you have in a few blocks? I really like the colors you chose for your scrappy swoon! It looks wonderful. I love your all your projects. Such great colors in the trip along, I LOVE the swoon quilt and your BOM is wonderful! All 3 quilts I love. Fun to see. I love that scrappy swoon! 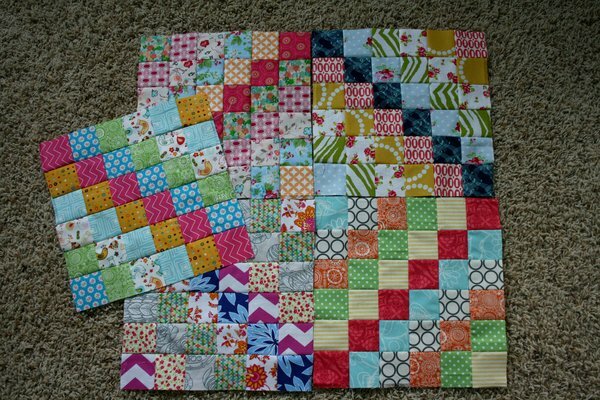 As for the blocks- I would probably go neutral… I wouldn’t want those lovely colors to get lost in the sashing! 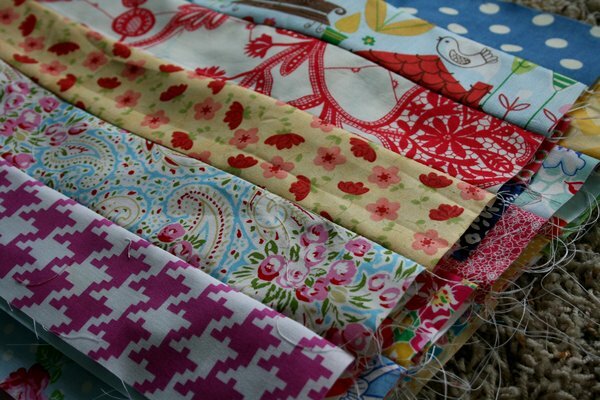 oh my gosh – all your projects are just delightful!! I’d also go with a red color for the sashing. I think every block is so unique and different that breakin them up with strong lines will help you focus on each one- whereas a light/neutral will make them all blend together.